The University of the Fraser Valley wrestlers made a program-record medal haul at the U SPORTS Wrestling Championships in Calgary, Alta. on Saturday, and it was Ana Godinez Gonzalez and Brad Hildenbrandt leading the charge. 120 kg Men- @UFVCascades Brad Hildenbrandt in GOLD! Brad Hildenbrandt's post match interview. Entretien d'après combat avec Brad Hildenbrandt. Godinez Gonzalez steamrolled the women’s 63 kg division, wrapping things up with a 10-0 technical-superiority triumph over Katie Mulkay of the Alberta Pandas. She didn’t surrender a single point in any of her four matches over the two-day tourney, and her dominance was recognized at the All-Canadian awards banquet as she was named the U SPORTS female athlete of the year. She’s the first Cascade across all sports to win a U SPORTS athlete of the year award. Hildenbrandt, meanwhile, completed his three-peat. He clinched his third consecutive U SPORTS heavyweight crown with a 7-6 victory over Frederick Choquette of the Concordia Stingers in the men’s 120 kg final. De’Andre Williams also had a shot at gold on Saturday, but he dropped an 11-2 decision to Concordia’s Francis Carter in the final and took home the silver. Two other Cascades battled their way to bronze. Parker McBride dismantled Saskatchewan’s Remington Tschetter 10-0 in the men’s 57 kg third-place match, while Amber Wiebe also won by tech fall, taking down Guelph’s Hannah Little 12-2 in the women’s 55 kg class. All told, the five U SPORTS individual medals represent a record for UFV wrestling. In the team standings, the Cascades men’s squad matched last year’s fifth-place overall finish, racking up 37 points. The UFV women’s team earned 21 points to finish eighth. The Brock Badgers swept both the men’s and women’s aggregate titles for the sixth straight year. “We did quite well today, and it was exciting to watch the athletes culminate the year,” Cascades interim head coach Stacie Anaka enthused. Godinez Gonzalez and Mulkay met two weeks ago at the Canada West championships at UFV, with the Cascades sophomore out of Surrey, B.C. prevailing 10-0. Saturday’s rematch proceeded in similar fashion, with Godinez Gonzalez again cruising to victory by tech fall. It was a triumph Godinez Gonzalez will certainly savour. In 2018, she came up short in the U SPORTS final, settling for silver, and was visibly disappointed in the aftermath. One year later, she’s not just a gold medalist – she’s the female wrestler of the year. Hildenbrandt’s heavyweight match-up was rough, even by wrestling standards – on two occasions, he took a finger in the eye from Choquette, necessitating injury timeouts. Choquette went for a single-leg takedown early on, but the UFV wrestler slipped out of it, gained rear position for two points, and then rolled Choquette over with a gut-wrench for another two points. He led 5-0 at the end of the first round, and extended it to 7-0 early in the second. Coquette managed a furious rally, cutting the deficit to 7-6 in the dying seconds, but the fourth-year Cascade from Surrey hung on for the victory. “It’s pretty cool, but it’s kind of another day at the office,” Hildenbrandt said with a chuckle, reflecting on his status as a three-time national champ. Hildenbrandt was battling a respiratory infection this week, which added another layer of adversity in his drive for a threepeat. In the men’s 68 kg final, Concordia’s Carter raced out to a 9-0 lead at the end of the first round. While Williams managed to stave off the tech and score a couple points early in the second, the deficit proved too much to overcome. Even so, the silver medal is a terrific result for the sophomore from Tacoma, Wash., who won a Canada West title earlier this month. McBride, a U SPORTS gold medalist and national rookie of the year in 2018, was denied a return trip to the finals after falling to eventual champ Ligrit Sadiku of the Brock Badgers in his final pool match on Friday. He bounced back with a vengeance, though, blitzing Tschetter 10-0. Wiebe won her second U SPORTS bronze medal, her first having come in 2017 as a member of the Regina Cougars. She surrendered the first two points of the match but dominated the proceedings from there, prevailing 12-2. Simren Brar (men’s 54 kg) and Calista Espinosa (women’s 48 kg) came up just shy of the podium, falling in their respective bronze medal matches. Brar lost by tech fall to Alberta’s Harris Valdez; Espinosa held a 2-0 lead over Lakehead’s Megan Smith in the dying seconds of the first round, but Smith turned the tables and got the pin. Karan Dhillon (men’s 82 kg) and Sunny Benning (men’s 90 kg) both finished sixth in their weight classes, losing their fifth/sixth placing matches on Saturday. Ali Rahguzar (men’s 61 kg) and Amarvir Atwal (men’s 72 kg) each finished eighth after having to withdraw from the tournament due to injury. 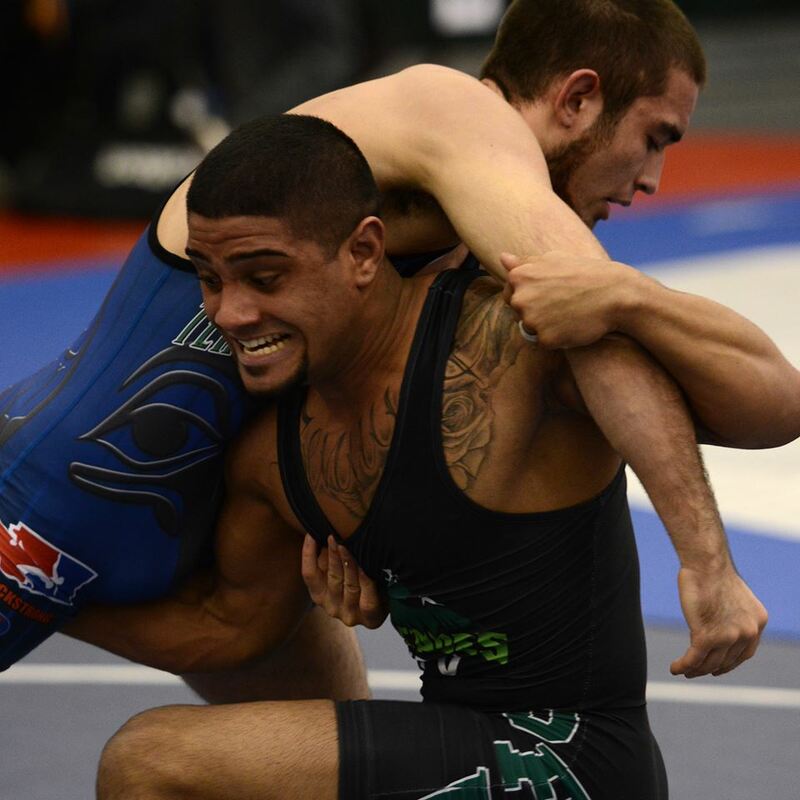 Be the first to comment on "UFV Sports Saturday – Wresting Continues To Rack Up Gold"